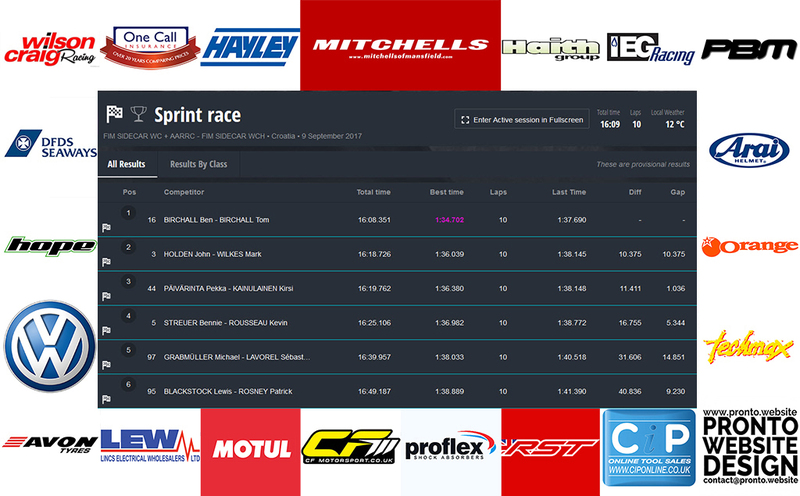 As the lights went out to start the race Paivarinta and Kainulainen got the hole shot and led the field around the first series of corners but the Birchall Brothers were hot on their heels on the LCR Yamaha R6 with Streuer/Rousseau plus Holden/Wilks in close formation a few yards behind. By the end of lap one Ben and Tom had the lead and began to steadily pull away from the pack to cross the finish line 10.375s ahead of Holden/Wilks who had got past Paivarinta/Kainulainen to take second place. 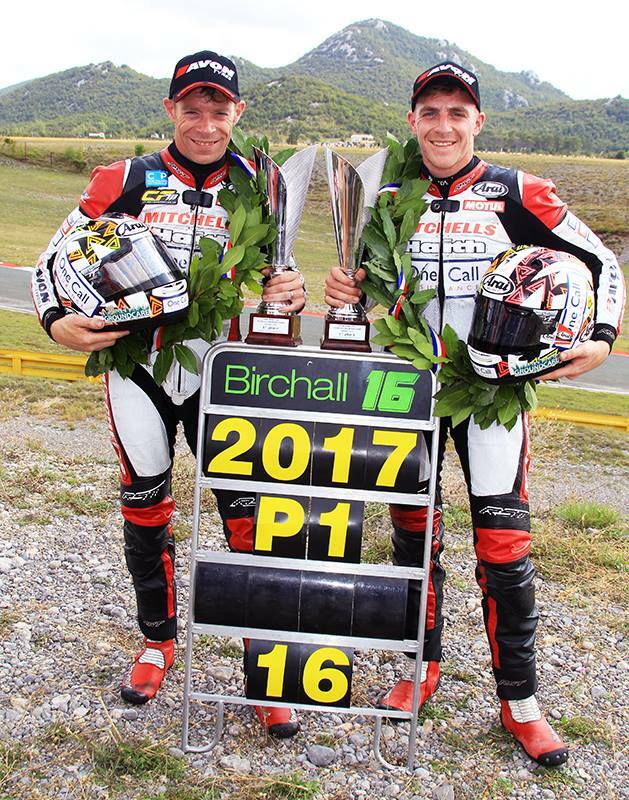 This win put the title out of reach of their rivals resulting in the Birchall Brothers being crowned 2017 World Champions leaving them free to enjoy their second race on Sunday as champions elect with no pressure. But there was a dramatic change of events prior to the start of the 18 lap Gold race on Sunday when spots of rain began to fall leaving the sidecar crews with the dilemma of tyre choice. As the teams set off on the warm up lap Ben and Tom slid out of control on the exit to the first corner which threw Tom off the machine which turned on its side as it slid down the track. The reason for this was a rear tyre puncture and although the two brothers were unhurt the fairing was damaged and they were forced to sit out the race. Having won every race until then the crash denied them the full house of wins in the world championship which was disappointing. 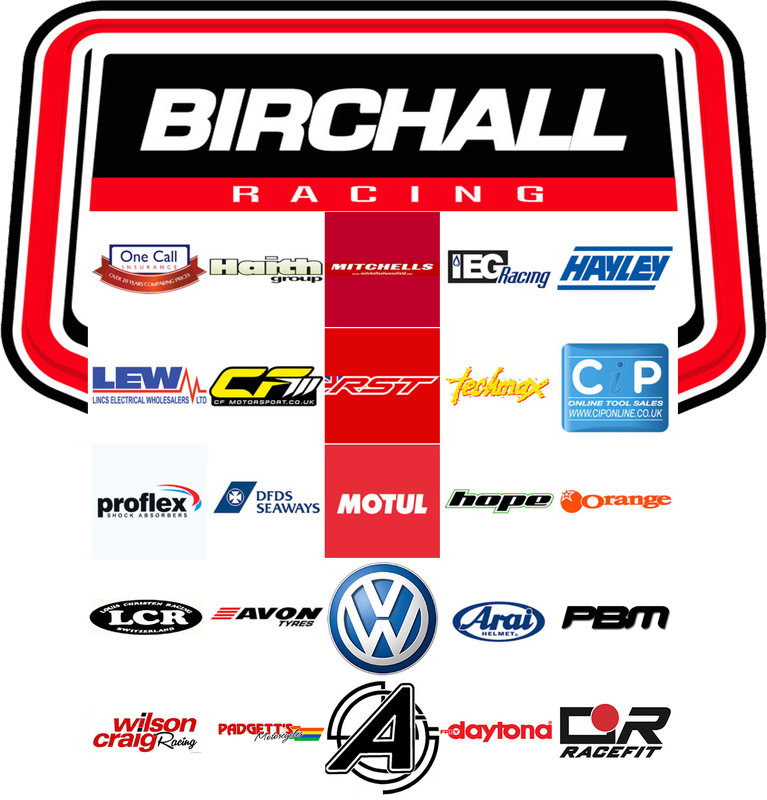 The Birchall brothers have had a good season with a clean sweep at the Isle of Man TT races and the win in every round of the British 600 Cup they have contested and now the jewel in the crown with the World championship title means they have plenty to celebrate. 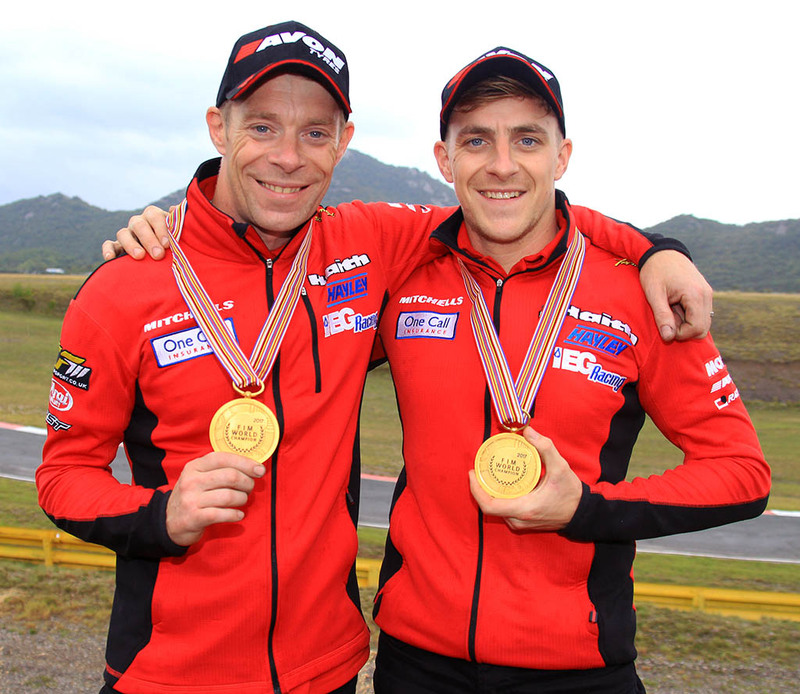 Ben said: “Tom and I are elated to be crowned world champions; we have had a fantastic season in the World Series this year and can’t thank everyone involved enough. Without our sponsors, friends and family we would have been unable to achieve this. “The decision to go to the 600cc class early has certainly paid off for us and it’s proved the 600cc engine is the perfect choice. The decision by the FIM to make the championship 600cc was correct and the best way forward for our sport. 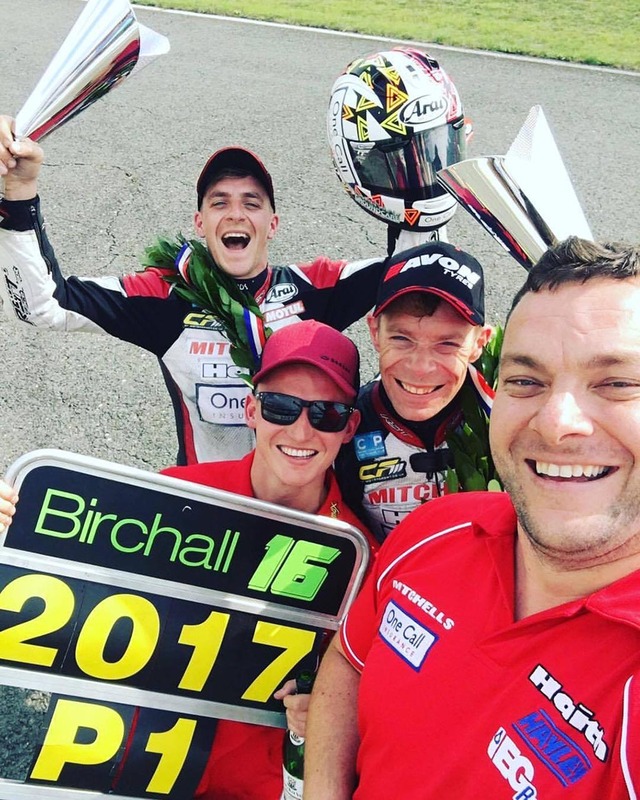 Ben and Tom are hoping to contest the final two rounds of the British 600cc Cup at Assen and Brands Hatch plus make their usual appearance at Darley Moor for the Stars at Darley meeting in October.